In geography, regions are areas that are broadly divided by physical characteristics, human impact characteristics, and the interaction of humanity and the environment. Geographic regions and sub-regions are mostly described by their imprecisely defined, and sometimes transitory boundaries, except in human geography, where jurisdiction areas such as national borders are defined in law. 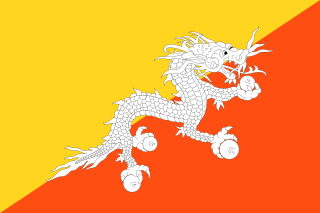 Bhutan, officially the Kingdom of Bhutan, is a landlocked country in South Asia. Located in the Eastern Himalayas, it is bordered by Tibet Autonomous Region of China in the north, the Sikkim state of India and the Chumbi Valley of Tibet in the west, the Arunachal Pradesh state of India in the east, and the states of Assam and West Bengal in the south. Bhutan is geopolitically in East Asia and is the region's second least populous nation after the Maldives. Thimphu is its capital and largest city, while Phuntsholing is its financial center. Jainism, traditionally known as Jain Dharma, is an ancient, non-theistic, Indian religion. Followers of Jainism are called "Jains", a word derived from the Sanskrit word jina (victor) and connoting the path of victory in crossing over life's stream of rebirths through an ethical and spiritual life. Jains consider their religion to be eternal (sanatan), and trace their history through a succession of 24 victorious saviours and teachers known as tirthankaras, with the first in current time cycle being Rishabhanatha, who according to Jain tradition lived millions of years ago, twenty-third being Parshvanatha in 8th century BC and twenty-fourth being the Mahāvīra around 500 BCE. Jains believe that Jainism is an eternal dharma with the tirthankaras guiding every cycle of the Jain cosmology. Sikhs are people associated with Sikhism, a monotheistic religion that originated in the 15th century, in the Punjab region in the northern part of the Indian subcontinent, based on the revelation of Guru Nanak. The term "Sikh" has its origin in the Sanskrit words शिष्य, meaning a disciple or a student. A Sikh, according to Article I of the Sikh Rehat Maryada, is "any human being who faithfully believes in One Immortal Being; ten Gurus, from Guru Nanak to Guru Gobind Singh; Guru Granth Sahib; the teachings of the ten Gurus and the baptism bequeathed by the tenth Guru". United Nations cartographic map of South Asia. However, the United Nations does not endorse any definitions or area boundaries. List of countries by past and future population provide 1950, 2000 and 2050 population while the year 2100 data is from the United Nations[ citation needed ]. 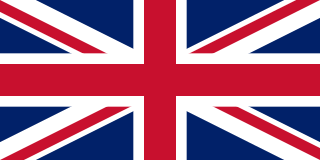 Sri Lanka  Buddhism (70.19%), Hinduism (12.61%), Islam (9.71%), Christianity (7.45%). 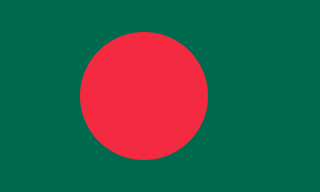 Modern Bangladesh emerged as an independent nation in 1971 after breaking away and achieving independence from Pakistan in the Bangladesh Liberation War. The country's borders corresponded with the major portion of the ancient and historic region of Bengal in the eastern part of the Indian subcontinent, where civilization dates back over four millennia, to the Chalcolithic. The history of the region is closely intertwined with the history of Bengal and the broader history of the Indian subcontinent. The South Asian Free Trade Area (SAFTA) is an agreement reached on January 6, 2004, at the 12th SAARC summit in Islamabad, Pakistan. It created a free trade area of 1.6 billion people in Afghanistan, Bangladesh, Bhutan, India, Maldives, Nepal, Pakistan and Sri Lanka. The seven foreign ministers of the region signed a framework agreement on SAFTA to reduce customs duties of all traded goods to zero by the year 2016. The SAFTA agreement came into force on January 1, 2006, and is operational following the ratification of the agreement by the seven governments. SAFTA requires the developing countries in South Asia to bring their duties down to 20 percent in the first phase of the two-year period ending in 2007. In the final five-year phase ending 2012, the 20 percent duty will be reduced to zero in a series of annual cuts. The least developed nations in South Asia have an additional three years to reduce tariffs to zero. India and Pakistan ratified the treaty in 2009, whereas Afghanistan as the 8th memberstate of the SAARC ratified the SAFTA protocol on 4 May 2011. Cuisine of the Indian subcontinent includes the cuisines from the Indian subcontinent comprising the traditional cuisines from Bangladesh, Bhutan, India, the Maldives, Nepal, Pakistan and Sri Lanka. Refugees in India refers to the history of refugees in India. The country has seen large influx of refugee populations throughout history. ↑ SAARC Summit. "SAARC". SAARC Summit. Archived from the original on 16 December 2013. Retrieved 17 December 2013. ↑ Desai, Praful B. 2002. Cancer control efforts in the Indian subcontinent. Japanese Journal of Clinical Oncology. 32 (Supplement 1): S13-S16. "The Indian subcontinent in South Asia occupies 2.4% of the world land mass and is home to 16.5% of the world population...."
↑ "Asia" > Overview Archived 1 May 2011 at the Wayback Machine . Encyclopædia Britannica. Encyclopædia Britannica Online, 2009: "The Indian subcontinent is home to a vast diversity of peoples, most of whom speak languages from the Indo-Aryan subgroup of the Indo-European family." ↑ "Indian Subcontinent Archived 21 January 2012 at the Wayback Machine ". Encyclopedia of Modern Asia. Macmillan Reference USA (Gale Group), 2006: "The area is divided between five major nation-states, Bangladesh, India, Nepal, Pakistan and Sri Lanka, and includes as well the two small nations of Bhutan and the Maldives Republic... The total area can be estimated at 4.4 million square kilometres, or exactly 10 percent of the land surface of Asia... In 2000, the total population was about 22 percent of the world's population and 34 percent of the population of Asia." 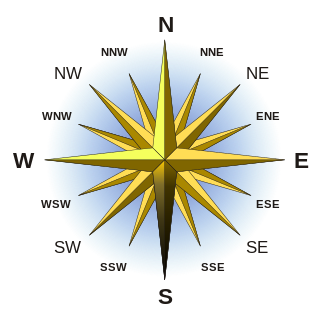 1 2 3 4 "Region: Asia-Pacific". 27 January 2011. ↑ "10 Countries With the Largest Muslim Populations, 2010 and 2050". Pew Research Center's Religion & Public Life Project. 2 April 2015. Retrieved 7 February 2017. 1 2 3 Ghosh, Partha Sarathy (1989). Cooperation and Conflict in South Asia. Technical Publications. pp. 4–5. ISBN 978-81-85054-68-1. 1 2 3 4 5 6 Jona Razzaque (2004). Public Interest Environmental Litigation in India, Pakistan, and Bangladesh. Kluwer Law International. pp. 3 with footnotes 1 and 2. ISBN 978-90-411-2214-8. 1 2 Michael Mann (2014). South Asia's Modern History: Thematic Perspectives. Taylor & Francis. pp. 13–15. ISBN 978-1-317-62445-5. 1 2 3 Ewan W. Anderson; Liam D. Anderson (2013). An Atlas of Middle Eastern Affairs. Routledge. p. 5. ISBN 978-1-136-64862-5. , Quote: "To the east, Iran, as a Gulf state, offers a generally accepted limit to the Middle East. However, Afghanistan, also a Muslim state, is then left in isolation. It is not accepted as a part of Central Asia and it is clearly not part of the Indian subcontinent". 1 2 3 "The World Bank". Archived from the original on 10 November 2015. Retrieved 5 November 2015. 1 2 3 "Institute of Development Studies: Afghanistan". Archived from the original on 1 June 2017. Retrieved 28 February 2019. 1 2 3 "Harvard South Asia Institute: "Afghanistan"". Archived from the original on 17 November 2015. Retrieved 5 November 2015. 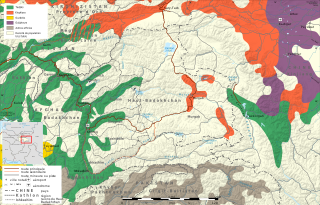 1 2 3 "Afghanistan Country Profile". BBC News. Archived from the original on 29 July 2018. Retrieved 21 July 2018. 1 2 3 "The Brookings Institution". 30 November 2001. Archived from the original on 5 September 2015. Retrieved 5 November 2015. 1 2 3 "CIA "The World Factbook"". Archived from the original on 2 April 2015. Retrieved 4 March 2015. ↑ Keith Robbins (2012). Transforming the World: Global Political History since World War II. Palgrave Macmillan. p. 386. ISBN 978-1-137-29656-6. , Quote: "Some thought that Afghanistan was part of the Middle East and not South Asian at all". ↑ Phillip Margulies (2008). Nuclear Nonproliferation. Infobase Publishing. p. 63. ISBN 978-1-4381-0902-2. , Quote: "Afghanistan, which lies to the northwest, is not technically a part of South Asia but is an important neighbor with close links and historical ties to Pakistan." 1 2 3 McLeod, John (2002). The History of India. Greenwood Publishing Group. p. 1. ISBN 978-0-313-31459-9. 1 2 "Indian subcontinent". New Oxford Dictionary of English ( ISBN 0-19-860441-6) New York: Oxford University Press, 2001; p. 929: "the part of Asia south of the Himalayas which forms a peninsula extending into the Indian Ocean, between the Arabian Sea and the Bay of Bengal. Historically forming the whole territory of greater India, the region is now divided between India, Pakistan, and Bangladesh." 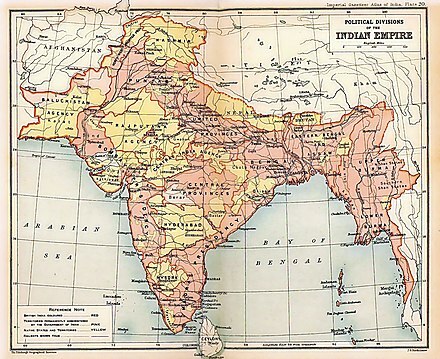 ↑ "Indian subcontinent" > Geology and Geography Archived 20 February 2012 at the Wayback Machine . ↑ Haggett, Peter (2001). Encyclopedia of World Geography (Vol. 1). Marshall Cavendish. p. 2710. ISBN 978-0-7614-7289-6. ↑ Ben Cahoon. "Pakistan Princely States". Worldstatesmen.org. Archived from the original on 27 September 2007. Retrieved 23 August 2010. ↑ Sarkar, Sudeshna (16 May 2007). "SAARC: Afghanistan comes in from the cold". Current Affairs – Security Watch. Swiss Federal Institute of Technology, Zürich. Archived from the original on 14 June 2011. Retrieved 6 April 2011. ↑ "South Asian Organisation for Regional Cooperation (official website)". SAARC Secretariat, Kathmandu, Nepal. Retrieved 6 April 2011. ↑ "SAARC Membership: India blocks China's entry for the time being". The Economic Times. 2 December 2014. Archived from the original on 18 December 2018. Retrieved 17 March 2015. ↑ "South Asia" . Retrieved 20 March 2015. ↑ "SAFTA Protocol" . Retrieved 20 March 2015. ↑ "South Asia". Unicef.org. Archived from the original on 20 December 2016. Retrieved 16 December 2016. ↑ "UNICEF ROSA". Unicef.org. Archived from the original on 20 December 2016. Retrieved 16 December 2016. ↑ "Cambridge University: Centre of South Asian Studies". Archived from the original on 1 November 2015. Retrieved 5 November 2015. ↑ "Cambridge Centre of South Asian Studies: Links to South And Southeast Asian resources". Archived from the original on 12 November 2015. Retrieved 5 November 2015. ↑ "Cambridge South Asian Archive: Afghanistan" (PDF). ↑ "Cambridge Centre of South Asian Studies: Library". Archived from the original on 13 November 2015. Retrieved 5 November 2015. ↑ "Center for South Asia Studies: University of California, Berkeley". Southasia.berkeley.edu. Retrieved 19 August 2012. ↑ "Standard Country or Area Codes for Statistical Use". Millenniumindicators.un.org. Retrieved 25 August 2012. Quote: "The assignment of countries or areas to specific groupings is for statistical convenience and does not imply any assumption regarding political or other affiliation of countries or territories by the United Nations." ↑ Robert Wynn Jones (2011). Applications of Palaeontology: Techniques and Case Studies. Cambridge University Press. pp. 267–271. ISBN 978-1-139-49920-0. ↑ Dhavendra Kumar (2012). Genomics and Health in the Developing World. Oxford University Press. p. 889. ISBN 978-0-19-537475-9. ↑ Mariam Pirbhai (2009). Mythologies of Migration, Vocabularies of Indenture: Novels of the South Asian Diaspora in Africa, the Caribbean, and Asia-Pacific. University of Toronto Press. p. 14. ISBN 978-0-8020-9964-8. ↑ Ronald B. Inden, Imagining India, page 51, C. Hurst & Co. Publishers, 2000, ISBN 1850655200, Quote:"It is very common today in academic and official circles to speak of the Indian subcontinent as 'South Asia', thereby distinguishing it from an 'East Asia'." ↑ Sugata Bose & Ayesha Jalal, Modern South Asia, pages 3, Routledge, 2004, ISBN 0415307872, Quote:"Indian subcontinent –or South Asia –as it has come to be known in more recent and neutral parlance"
↑ Possehl 2002, p. 141–156. 1 2 3 Michaels 2004, p. 33. ↑ Michaels 2004, p. 32. ↑ Witzel 1995, p. 3-4. 1 2 3 Witzel 1995. ↑ Flood 1996, p. 30-35. ↑ Samuel 2010, p. 41-48. ↑ Stein 2010, p. 48-49. ↑ Samuel 2010, p. 51-53. 1 2 Samuel 2010, p. 25. 1 2 Hiltebeitel 2007, p. 12. ↑ Flood 1996, pp. 81–82. ↑ Jacob Neusner (2009). World Religions in America: An Introduction. Westminster John Knox Press. ISBN 978-0-664-23320-4. ↑ Jason Neelis (2010). Early Buddhist Transmission and Trade Networks: Mobility and Exchange Within and Beyond the Northwestern Borderlands of South Asia. BRILL Academic. pp. 102–106. ISBN 978-90-04-18159-5. ↑ Jason Neelis (2010). Early Buddhist Transmission and Trade Networks: Mobility and Exchange Within and Beyond the Northwestern Borderlands of South Asia. BRILL Academic. pp. 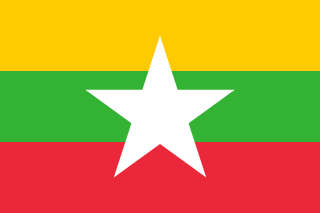 114–115, 144, 160–163, 170–176, 249–250. ISBN 978-90-04-18159-5. ↑ Barbara Crossette (1996). So Close to Heaven: The Vanishing Buddhist Kingdoms of the Himalayas. Vintage. pp. 84–85. ISBN 978-0-679-74363-7. ↑ HJ Klimkeit; R Meserve; EE Karimov; C Shackle (2000). "Religions and religious movements". In CE Boxworth; MS Asimov (eds.). History of Civilizations of Central Asia. UNESCO. pp. 79–80. ISBN 978-92-3-103654-5. ↑ Samuel 2010, pp. 193–228, 339–353, specifically pp. 76–79 and 194–199. ↑ John Guy; Pierre Baptiste; Lawrence Becker; Bérénice Bellina; Robert L. Brown; Federico Carò (2014). Lost Kingdoms: Hindu-Buddhist Sculpture of Early Southeast Asia. Yale University Press. pp. 10–11. ISBN 978-0-300-20437-7. ↑ Michell 1977, p. 18, 40. ↑ Hartmut Scharfe (2002). Handbook of Oriental Studies. BRILL Academic. pp. 144–153. ISBN 978-90-04-12556-8. ↑ Walter M. Spink (2005). Ajanta: History and Development, Volume 5: Cave by Cave. BRILL Academic. pp. 1–9, 15–16. ISBN 978-90-04-15644-9. ↑ "Ellora Caves – UNESCO World Heritage Centre". Whc.unesco.org. , Quote:"Ellora, with its uninterrupted sequence of monuments dating from A.D. 600 to 1000, brings the civilization of ancient India to life. Not only is the Ellora complex a unique artistic creation and a technological exploit but, with its sanctuaries devoted to Buddhism, Hinduism and Jainism, it illustrates the spirit of tolerance that was characteristic of ancient India." ↑ Lisa Owen (2012). Carving Devotion in the Jain Caves at Ellora. BRILL Academic. pp. 1–10. ISBN 978-9004206298. ↑ "History in Chronological Order". Government of Pakistan. Archived from the original on 23 July 2010. Retrieved 9 January 2008. ↑ David Lewis (31 October 2011). Bangladesh: Politics, Economy and Civil Society. Cambridge University Press. p. 44. ISBN 978-1-139-50257-3. 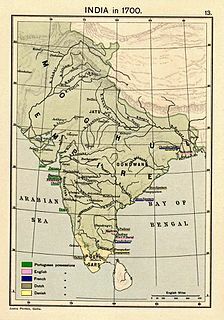 In 1346 ... what became known as the Bengal Sultanate began and continued for almost two centuries. ↑ Syed Ejaz Hussain (2003). The Bengal Sultanate: Politics, Economy and Coins, A.D. 1205–1576. Manohar. ISBN 978-81-7304-482-3. ↑ Kulke and Rothermund, Hermann and Dietmar (2004) . A History of India. Routledge (4th edition). pp. 187–188. ISBN 978-0-415-32919-4. ↑ Nilakanta Sastri, K. A. (1955) [reissued 2002]. A history of South India from prehistoric times to the fall of Vijayanagar. New Delhi: Indian Branch, Oxford University Press. pp. 216, 239–250. ISBN 978-0-19-560686-7. ↑ Guptajit Pathak (2008). Assam's history and its graphics. Mittal. p. 124. ISBN 978-81-8324-251-6. ↑ C. E. Bosworth (2014). New Islamic Dynasties. Edinburgh University Press. pp. 179–180. ISBN 978-0-7486-9648-2. ↑ József Böröcz (10 September 2009). The European Union and Global Social Change. Routledge. p. 21. ISBN 9781135255800 . Retrieved 26 June 2017. ↑ Catherine Blanshard Asher (1992). Architecture of Mughal India. Cambridge University Press. pp. 1–2. ISBN 978-0-521-26728-1. ↑ Lawrence E. Harrison, Peter L. Berger (2006). Developing cultures: case studies. Routledge. p. 158. ISBN 9780415952798. ↑ John F. Richards (1995). The Mughal Empire. Cambridge University Press. pp. 97–101. ISBN 978-0-521-56603-2. ↑ Chris Seiple (2013). The Routledge handbook of religion and security. New York: Routledge. p. 96. ISBN 978-0-415-66744-9. ↑ Pashaura Singh and Louis Fenech (2014). The Oxford handbook of Sikh studies. Oxford, UK: Oxford University Press. pp. 236–238, 442–445. ISBN 978-0-19-969930-8. ↑ Annemarie Schimmel; Burzine K. Waghmar (2004). The Empire of the Great Mughals: History, Art and Culture. Reaktion. pp. 35, 115–121. ISBN 978-1-86189-185-3. ↑ Matthew White (2011). The Great Big Book of Horrible Things. W. W. Norton. p. 234. ISBN 978-0-393-08192-3. The Mughals traditionally had been tolerant of Hinduism ... Aurangzeb, however ... prohibited Hindus from riding horses or litters. He reintroduced the head tax non-Muslims had to pay. Aurangzeb relentlessly destroyed Hindu temples all across India. ↑ John Bowman (2005). Columbia Chronologies of Asian History and Culture. Columbia University Press. pp. 282–284. ISBN 978-0-231-50004-3. ↑ W. Owen Cole; Piara Singh Sambhi (1978). The Sikhs: Their Religious Beliefs and Practices. Routledge. pp. 36–37. ISBN 978-0-7100-8842-0. ↑ Lisa Balabanlilar (2012). Imperial Identity in Mughal Empire: Memory and Dynastic Politics in Early Modern Central Asia. I.B.Tauris. pp. 97, 180–181. ISBN 978-1-84885-726-1. ↑ J. S. Grewal (1990). The Sikhs of the Punjab. The New Cambridge History of India. II.3. Cambridge University Press. pp. 99, 103. ISBN 978-0-521-26884-4. In 1799, a process of unification was started by Ranjit Singh virtually to establish an empire ... Before his death in 1839 Rajit Singh's authority over all the conquered and subordinated territories between the river Satlej and the mountain ranges of Ladakh, Karakoram, Hindukush and Sulaiman was recognized. ↑ Debjani Sengupta (2015). The Partition of Bengal: Fragile Borders and New Identities. Cambridge University Press. pp. 16–19. ISBN 978-1-316-67387-4. ↑ Bashabi Fraser (2008). Bengal Partition Stories: An Unclosed Chapter. Anthem. pp. 7–16. ISBN 978-1-84331-299-4. ↑ Xinru, Liu, "The Silk Road in World History" (New York: Oxford University Press, 2010), 40. ↑ "Asia" > Geology and Geography Archived 23 February 2012 at the Wayback Machine . The Columbia Electronic Encyclopedia, 6th ed. Columbia University Press, 2003: "Asia can be divided into six regions, each possessing distinctive physical, cultural, economic, and political characteristics... South Asia (Afghanistan and the nations of the Indian Peninsula) is isolated from the rest of Asia by great mountain barriers." ↑ "Asia" > Geologic history – Tectonic framework Archived 1 May 2011 at the Wayback Machine . Encyclopædia Britannica. 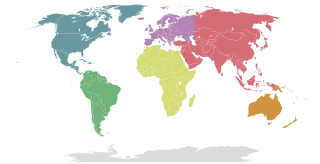 Encyclopædia Britannica Online, 2009: "The paleotectonic evolution of Asia terminated some 50 million years ago as a result of the collision of the Indian Plate with Eurasia. Asia's subsequent neotectonic development has largely disrupted the continent's preexisting fabric. The first-order neotectonic units of Asia are Stable Asia, the Arabian and Indian cratons, the Alpide plate boundary zone (along which the Arabian and Indian platforms have collided with the Eurasian continental plate), and the island arcs and marginal basins." ↑ Chapman, Graham P. & Baker, Kathleen M., eds. The changing geography of Asia. ( ISBN 0-203-03862-2) New York: Taylor & Francis e-Library, 2002; p. 10: "This greater India is well defined in terms of topography; it is the Indian peninsula, hemmed in by the Himalayas on the north, the Hindu Khush in the west and the Arakanese in the east." 1 2 Robert M. Cutler (2007). Mehdi Amineh (ed.). The Greater Middle East in Global Politics: Social Science Perspectives on the Changing Geography of the World Politics. BRILL. pp. xv, 112. ISBN 978-90-474-2209-9. 1 2 3 4 "Field Listing :: Names". CIA. Retrieved 28 July 2011. 1 2 "UNGEGN List of Country Names" (PDF). United Nations Group of Experts on Geographical Names. 2007. Retrieved 28 July 2011. 1 2 3 "List of countries, territories and currencies". Europa. 9 August 2011. Retrieved 10 August 2011. ↑ "Field Listing :: Capital". CIA. Retrieved 3 August 2011. ↑ "UNGEGN World Geographical Names". United Nations Group of Experts on Geographical Names. 29 July 2011. Retrieved 3 August 2011. ↑ "Field Listing :: Area". CIA. Retrieved 7 August 2011. 1 2 "Country Comparison :: Population". CIA. July 2012. Retrieved 2 September 2012. 1 2 "World Economic Outlook (April 2017) – Nominal GDP". IMF. Retrieved 26 August 2017. 1 2 "World Economic Outlook (April 2017) – Nominal GDP per capita". IMF. Retrieved 26 August 2017. ↑ "Human Development Reports". hdr.undp.org. Retrieved 26 August 2017. ↑ Baten, Jörg (2016). A History of the Global Economy. From 1500 to the Present. Cambridge University Press. p. 249. ISBN 9781107507180. 1 2 3 Cox, Wendell (January 2015). "Demographia World Urban Areas" (PDF). Demographia. Archived (PDF) from the original on 24 June 2013. Retrieved 26 November 2015. 1 2 Braj B. Kachru; Yamuna Kachru; S. N. Sridhar (2008). Language in South Asia. Cambridge University Press. pp. 122–127, 419–423. ISBN 978-1-139-46550-2. ↑ George Cardona; Dhanesh Jain (2003). The Indo-Aryan Languages. Routledge. pp. 75–77. ISBN 978-0-415-77294-5. ↑ David Templin. "Devanagari script". Omniglot. Retrieved 5 April 2015. ↑ Peter T. Daniels; William Bright (1996). The World's Writing Systems. Oxford University Press. p. 395. ISBN 978-0-19-507993-7. ↑ Braj B. Kachru; Yamuna Kachru; S. N. Sridhar (2008). Language in South Asia. Cambridge University Press. pp. 391–394. ISBN 978-1-139-46550-2. ↑ "Region: South Asia". 27 January 2011. Retrieved 1 January 2017. 1 2 Adams, C. J., Classification of religions: Geographical Archived 14 December 2007 at the Wayback Machine , Encyclopædia Britannica, 2007. Accessed: 15 July 2010; Quote: "Indian religions, including early Buddhism, Hinduism, Jainism, and Sikhism, and sometimes also Theravāda Buddhism and the Hindu- and Buddhist-inspired religions of South and Southeast Asia". ↑ Alberts, Irving, T., . D. R. M. (2013). Intercultural Exchange in Southeast Asia: History and Society in the Early Modern World (International Library of Historical Studies). I.B. Tauris. ↑ Lisa Balabanlilar (2012). Imperial Identity in Mughal Empire: Memory and Dynastic Politics in Early Modern Central Asia. I.B. Tauris. pp. 1–2, 7–10. ISBN 978-1-84885-726-1. ↑ Pechilis, Karen; Raj, Selva J. (1 January 2013). South Asian Religions: Tradition and Today. Routledge. ISBN 9780415448512. ↑ Diplomat, Akhilesh Pillalamarri, The. "How South Asia Will Save Global Islam". The Diplomat. Retrieved 7 February 2017. ↑ "CIA – The World Factbook – Afghanistan". CIA. Retrieved 27 March 2012. ↑ "Bangladesh : AT A GLANCE". Banbeis.gov.bd. Archived from the original on 6 July 2011. Retrieved 23 August 2010. 1 2 "CIA – The World Factbook". CIA. Retrieved 27 March 2012. ↑ "Indian Census". Censusindia.gov.in. Archived from the original on 14 May 2007. Retrieved 23 August 2010. ↑ "religion". Maldives. Retrieved 23 August 2010. ↑ "Maldives". Law.emory.edu. 21 February 1920. Retrieved 23 August 2010. ↑ "NEPAL" (PDF). Retrieved 23 August 2010. ↑ "Population by religions" (PDF). Statistics Division of the Government of Pakistan . Archived from the original (PDF) on 17 June 2006. ↑ "Table 1". 13 May 2007. Archived from the original on 13 May 2007. Retrieved 23 August 2010. ↑ "Welcome to WorldBank Group". World Bank. Retrieved 23 August 2010. ↑ "South Asia, now the fastest-growing region in the world, could take greater advantage of cheap oil to reform energy pricing". ↑ "Company Profile". Pakistan Stock Exchange. ↑ "World Economic Outlook (April 2017) – Real GDP growth". IMF. Retrieved 26 August 2017. ↑ "World Economic Outlook (April 2017) – Inflation rate, average consumer prices". IMF. Retrieved 26 August 2017. 1 2 3 "UN" (PDF). ↑ "GPEI". Archived from the original on 6 July 2015. ↑ Haider, Sajjad; Khan, Shameen (31 December 2014). "Lost — The battle against polio". Dawn. ↑ "Poverty & Equity Data Portal". povertydata.worldbank.org. ↑ Chakravarty, Manas (13 October 2014). "The World Bank on India's poverty". Live Mint. ↑ "India - Data". data.worldbank.org. ↑ "India home to world's largest number of hungry people: report". Dawn. 29 May 2015. ↑ Pandey, Geeta (13 October 2006). "'Hunger critical' in South Asia". BBC News. Retrieved 4 January 2010. ↑ "The EU's External Relations". Europarl.europa.eu. Retrieved 23 August 2010. ↑ Vikram Aditya (26 May 2014). "Foreign Policy: Seizing The Initiative And Maintaining The Momentum". The Indian Republic. Archived from the original on 6 June 2014. ↑ Gautam Mukherjee (27 May 2014). "Why invitation to SAARC countries is Modi's masterstroke". Niti Central. Archived from the original on 7 June 2014. Retrieved 6 June 2014. ↑ Barry Buzan (2004). The United States and the great powers: world politics in the twenty-first century. Polity. pp. 71, 99. ISBN 978-0-7456-3374-9 . Retrieved 27 December 2011. ↑ "Area and Population of Countries (mid-2006 estimates)". Infoplease. Retrieved 23 August 2010. ↑ "India: world's largest democracy". BBC Learning Zone Class Clips. Archived from the original on 14 January 2011. ↑ "India's defence budget is one third of China: Pentagon". The Economic Times. 17 June 2014. ↑ Haider, Irfan (3 June 2014). "Finance minister unveils Rs3.945tr budget for 2014-15". Dawn. ↑ "The world factbook-Bangladesh". CIA. Archived from the original on 20 July 2015. Retrieved 6 June 2014. ↑ Gowen, Annie. "Bangladesh's political unrest threatens economic gains, democracy". The Washington Post. Retrieved 6 June 2014. ↑ e.V., Transparency International. "Corruption Perceptions Index 2016". Transparency.org. Retrieved 26 August 2017. ↑ "Worldwide Governance Indicators". World Bank. 2015. Retrieved 25 August 2017. ↑ "Poverty headcount ratio at national poverty lines (% of population) | Data". data.worldbank.org. Retrieved 26 August 2017. ↑ "School enrollment, primary (% net) | Data". data.worldbank.org. Retrieved 26 August 2017. ↑ "Gross enrolment ratio, secondary, both sexes (%) - Data". data.worldbank.org. 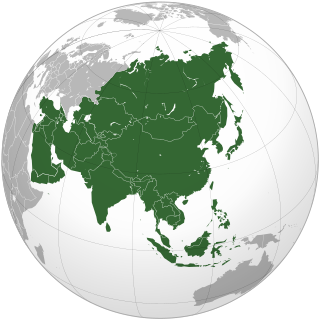 Wikimedia Commons has media related to South Asia .